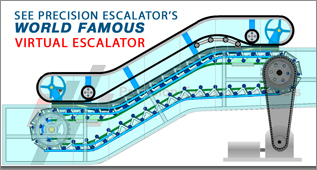 Precision’s products are tuned and implemented with only the highest optimized performance polyurethane. It maximizes the products operations life and durability. When maintained properly our polyurethane products still look like new after years in very demanding 24/7 operations. 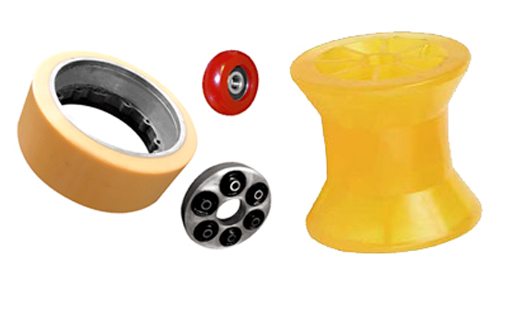 We strongly encourage you to Demand & Specify our Precision Polyurethane and Urethane Parts for replacements, to get your job done right the first time. Your Labor and Time are extremely valuable. When putting all your labor in to service a project or repair, don’t ever consider cutting any corners with a sub-quality look alike product of unknown origins. You’ll probably have to make that costly labor repairs twice or more. Not surprising, we have many industry mechanics tell us that rubber and plastic parts from some vendors only last a few weeks or months. For non-elevator polyurethane parts, please contact our sister company at the link below.